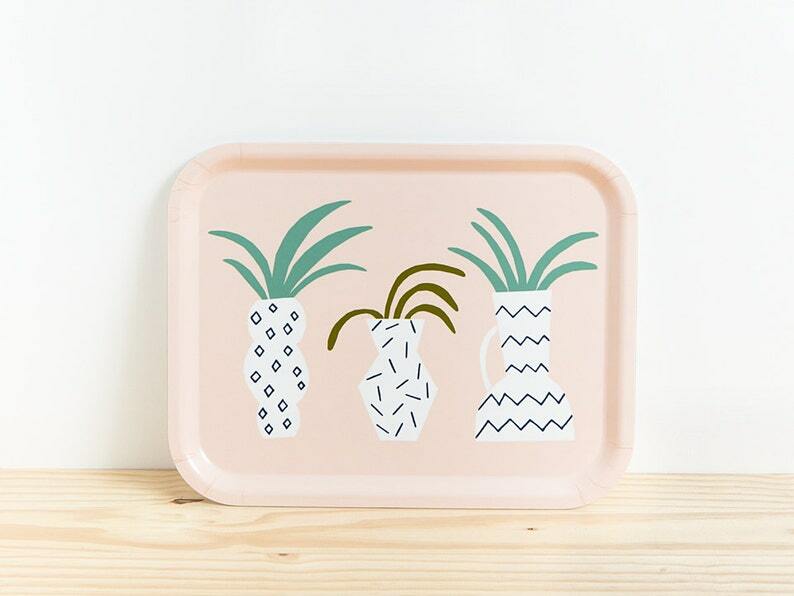 Serving tray with original illustration by Depeapa. Each tray is individually handmade from layers of Scandinavian birch wood, (FSC accredited) from sustainable forests, with a melamine based surface which is heat and alcohol resistant, great for serving breakfast or to have set out as a decor piece. The trays have a high-quality finish and longevity of use. ♦ 'Vases' Original illustration by Depeapa. Shipping: We ship items within 1-2 business days. So cute, great colors and durable!